The women’s NightVision is Altura’s capable commuter jacket designed specifically for cyclists who are looking for enhanced visibility in dark riding conditions as well as protection from the elements. Made from Altura Shield™ EVO fabric which has been engineered to provide protection from wind and water as well as offering superior levels of breathability in a soft touch two-layer fabric is a women-specific cycling jacket which features NightVision reflective detailing and an integrated ILume® rear flashing light for maximum dark light visibility; perfect for your daily commute to and from work. Great waterproof cycling Jacket, I originally ordered a size 16 ( I am a size 14) as wanted to make sure it fits over my big winter jacket, as I cycle to work every day, but this was far too big. I then returned this and got the size 14 which fits perfectly, even over my winter jacket. The light at the back of the jacket it really bright and I can now be seen in the dark. 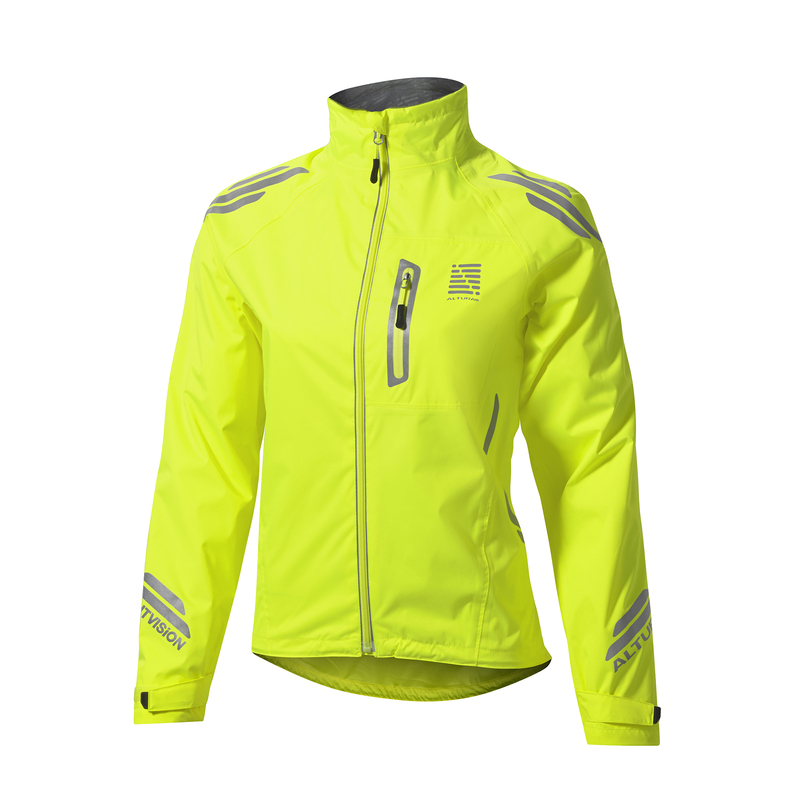 I can recommend this jacket to anyone who wants a well made waterproof high viz jacket to wear on it's own, or over a winter jacket in colder month.